There are some extraordinarily difficult relational scenarios within the overall group of families which are affected by parental alienation, one of the most difficult being the ‘non alienating’ alienating parent. Those who work with families affected by parental alienation who truly understand the way that it presents and who use differentiation routes in tandem with treatment interventions, will recognise this most thorny case amongst the many thorny scenarios we are asked to assess. In fact these cases are the cases which sort out the real experts from the people who want to present themselves as experts. These are the cases which will fool the alienation unaware practitioner into believing that alienation is not really happening. They are the cases that the unaware practitioner who is trying to shoe horn parental alienation in their own belief system or model of work, will call ‘hybrid’ with the intention of conveying the idea that this is a little bit of everyone’s contribution to the problem. If I were to set an exam for those who assess parental alienation to pass, I would give them this scenario and ask them to tell us what they would do to resolve it. The children of the NAA will tell you that this parent NEVER EVER bad mouths the other parent. They will say that this parent says many wonderful things about the other parent and that they really WANT the child to have a relationship with the other parent. These children will appear to be earnest in the reporting of their experiences and will tell you that they would love to see more of the parent they are currently resistant to if only that parent would shape up a bit or be a little bit kinder. When you first meet these children they do not appear to have many, if any of the signs of alienation, they do not appear to be in an angry coalition with one parent and they do not show any of the outward signs of entitlement or lack of empathy towards the other parent. They simply seem to want the parent they are resistant to, to be a bit better all round. When you look at the parent they are aligned to, you cannot see any of the seventeen signs of alienating behaviours which Amy J L Baker curated, there is no bad mouthing, no obvious threats of withdrawal of affection. This parent is co-operative, wants to help, really really wants to resolve this as soon as possible, would enjoy the time away from the children that time with the other parent would bring. The surface of the water in these cases is very very calm indeed. Your eye is drawn to the parent who is being rejected. The aware practitioner holds their nose and dives under the water to examine what lies beneath. This cannot be achieved in a snap shot assessment and so requires a longer look at what is going on. There is an art to understanding the layers of subtle behavioural influencing which goes on under the surface of these cases and it takes a watching eye over several weeks to be able to see what is emerging in the tangled weeds beneath the mill pond appearance. These children do not display the behaviours which are often readily spotted, they display much more nuanced versions of the behaviours we expect to see. These are not angry and dismissive children, they are not haughty and entitled and they are not living in an outwardly recognisable fused dyadic relationship with the parent they are aligned to. Nevertheless they are alienated children and alienated children are alienated because somewhere, someone is dropping poison into the system. Far from alienation being caused by entangled dynamics between parents as some would argue, in the majority of cases by far, the unjustified rejecting behaviours of children after divorce and separation is caused by the actions of one parent against the other. This action may be conscious, half conscious, unconscious or a mix of the lot going on at once but the reality is that where a child rejects, someone, somewhere is dropping poison. Spotting who and how they are doing it is the task of assessment, building the route to get the antidote to the children is the task of intervention. In the NAA case, the poison in the system is being applied silently with the stealth of the master criminal. I often think of these cases as those which steal the child’s right to an unconscious childhood right from under their noses. This is because the child in the NAA case has, by the time we reach them, become so parentified (they take care of the needs of the parents rather than vice versa), that this is normal life for them. I have worked with parentified children who even though their parent has taken from them half of their entitlement to who they are, half of the potential they possess and half of the opportunities they would have in their lives had they not been parentified, will nevertheless tell me that they are happy, they are absolutely content with the narrowed life they are leading and that it is not the parent whose needs they are taking care of who is the problem it is the healthy parent who they really wish would just sort themselves out and stop pressuring them. I watch these children clip their own wings, decide to stay at home instead of going to University, turn down opportunities instead of grabbing the chances which come their way and settle for less than they deserve each and every time. I watch these children’s sheepish presentation, the emptiness of their lives and I find my heart breaking for them because they do not know that they do not know what has been done to them and if anyone tries to tell them they will fervently deny it. Their children are watchful, they do not speak readily, if you are in a room with them and the NAA they will not answer a question without looking at the NAA to check their response. Their children are dedicated, they will drop everything and run if the NAA calls, they will put the NAA before anyone and anything. Their children proclaim that they are happiest at home, they don’t want to go far, they definitely don’t want to do anything that the NAA disapproves of. These children are not haughty or entitled, they are not angry or uncooperative, they are simply, silently and stupendously stapled to the will of the NAA. Too many practitioners are led to look at the rejected parent in such a scenario and are misled by the fervent assurances of the aligned parent that they very much want the parent who is being rejected to be involved in the children’s lives. When a practitioner is faced with the subtlety of such a case it can be too easy to believe that a rejected parent either didn’t try hard enough or somehow without knowing perhaps, contributed to the children’s resistance. I have been given many cases labelled ‘hybrid’ in my time (I use the term only to describe a case of parental alienation where there is an absence of personality disorder in a parent, not as a way of saying that both parents are causing the problem), demonstrating that there are too many practitioners still unwilling or unable to take that final step to understanding that when children unjustifiably reject a parent after family separation, someone, somewhere is dropping poison into the system. 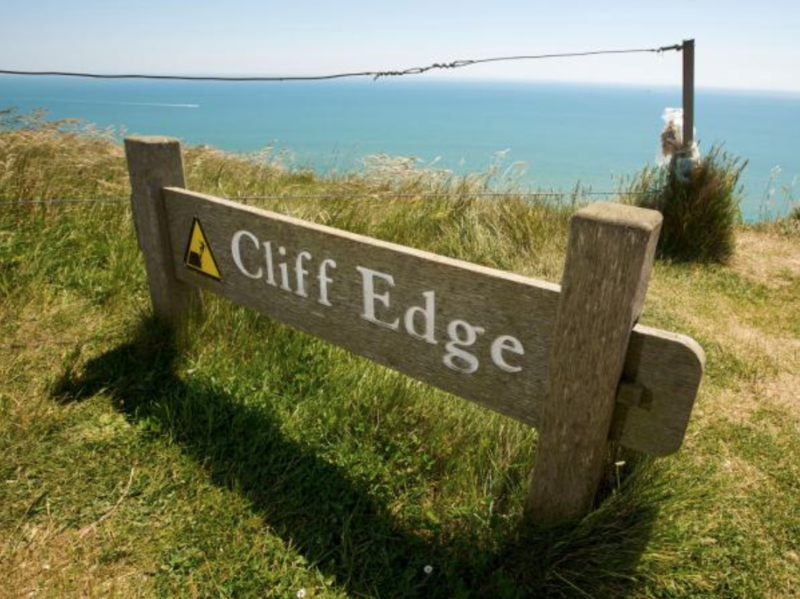 So what is the antidote to the poison in the NAA case, the case of the child being made to live on the edge of the cliff, which in reality is the edge of a threat to abandon the child if they do not fulfil the needs of the parent? For younger children it is to recognise that parentification is an emotionally and psychologically abusive strategy which coerces the child out of their capacity to know their own needs. If the parentifying parent cannot recognise what they are doing and change their ways, removal of the children in order that their needs are met by the healthy parent is the step to take. Parentification isn’t a less damaging method of abuse than physical or sexual assault, it is the systematic removal of the child’s right to know their own needs and have them met. It reduces the child to the role of helpmeet, in which their own feelings are never acknowledged unless they mirror the parent’s own. Thus the child who is parentified lives half a life instead of the whole of the life they could be living and that is an abuse of the child just as serious as other forms. For older children, removal from the parent is also necessary – though in the UK at least – more difficult to achieve. In all cases, structural interventions which give the children space to breathe and learn that they have needs which they have the right to have met is a key intervention. And as internationally recognised standards of intervention show, in all cases where there is a NAA, the rejected parent, far from being seen as contributory, should be recognised for the healthy input they can give. Working with that parent in a co-therapy role is the way to help the parentified child. In my work I have taught children how to recognise that they are hungry because they did not understand their own physical needs and I have taught children that they have the right to feel things which are different to the parent who has parentified them. In doing so I have come to know that the undoing of parentification is a long term job which depends hugely on the existence of the healthy rejected parent. Parentification is caused when a parent has not had their own needs met as a child. It was, at least in the working class upbringing I experienced, an almost institutionalised reality. “Look after your mother” and “you are the man of the house now” were phrases often heard in generations past. Getting past parentification as an adult is a task second to none in therapy but it can be done. Doing it right for children who live on the edge of a threat of abandonment means looking and listening for long enough to spot the subtle but unmistakeable signs of parentification. A pre-occupation with the needs of a parent, a watchfulness, a keenness to react and a shiftiness which is difficult to describe in any other way are the key things to look for. Shiftiness comes when the child is made aware of the frustrations felt by the parent they have put at distance, it accompanies sheepishness which is caused by the older child’s growing awareness that they are trapped in the mind and the madness of the parent they have spent their whole life tending to. When you see those signs as a rejected parent, watch and wait, keep showing you are there and showing that it is possible to live a life without continuously knee jerk reacting to the demands of the NAA. Your role is to model freedom, individuation and health and wellbeing. When you see those signs as a practitioner, instead of leaving the children on the edge of the cliff, take action and give them the gift of their childhood back. If you don’t, no-one else can, or indeed, will. This hits home for me, and I think this dynamic has been transferred to another. This has become my mission in my life and the lives of my children. You alone have helped me to understand this. I am more than I ever thought I could be, thanks to you! This is 100% our case. “Living on the edge…of alienation” where we are continually battling pure alienation from taking effect. And the signs are so much harder to see, more subtle, occasional rather than permanent, but nonetheless still most definitely there. And it’s only because of the children’s resilience to deflect this abuse, due to the bond with their father built over years, that we aren’t still in a position where they have rejected him completely. But they have in the past. And we just hope we can keep fighting long enough for them not to repeat that. We have moved through court hearing after court hearing over many years & maybe now, finally, Cafcass are hearing us & starting to see it. Time will tell. That was my role in the marriage so does that mean my son has taken my place? I think this well describes what my eldest daughter has been through. Only now, some 7 years later, is my daughter coming to any accurate sense of her own needs and capabilities – often clashing heavily with mum in the process…while I still have to largely watch helplessly from the sidelines. Thank you Karen – so busy these days building up our wide framed, community based ‘antidote to alienation’ – my own personal response to what has happened to us, which it is my dream to go nationwide…and further – that it’s not always to keep up with the blog. But I’m so glad when I can! And also to provide example, where possible, of improvements as they happen down the road – just to encourage others, that though it may be a long haul – there can be the emerging of light at the end of the tunnel. You have exactly described my son. I’m always impressed by the parallels in experience. Is this something you talk about in your workshop ? I believe my son is being influenced by an NNA parent . I have had a Section 32 report voice of the child report completed which consisted of a one hour assessment by an assessor of both parents and the child only to be told that her recommendations was for me to respect my son’s wish and leave it up to him as to when he should see me and my side of the family. My ex has told the court that she continously telling my son to be in contact with me but it’s has now been over 2 and half years since I or any other member have seen him . I am very concerned about is current and future mental health but I no wants to help . It’s a great service you provide and I find your post very help . P.S. I have read you book on parent Alienation which is a great source of information and real life stories which make you realise your not alone and that this is happening all over the world . Its good to hear your recognition that PA can happen without a clear display of the signs of alienating behaviors. This has caused difficulty for me trying to convince others of the PA.
mouth and stake through her chest…..how she played her children right through into their middle-ages. This post has really hit home Karen, though it’s central theme of ‘parentrification’ is nothing new to me…… I lived it as child, having been threatened to be given away, becoming always watchful and wary. I battled alone as an adult to break free of it……. I finally did, but at enormous personal cost. Yet I do not condemn the parent responsible, for as you write…. “Parentification is caused when a parent has not had their own needs met as a child.”. Intergenerational influences can be truly scary to behold, or worse still, experience personally. I’m in a better place in myself these days. It’s hard to believe that it took me so many long years to first acknowledge, then strive to act on, my own individual needs. I lost myself for a long long time…… somehow I knew I was a shadow of myself but finding the door out was unbelievably hard. Any child who has your support to find their own door to their own self is a fortunate child indeed. Have a question, when the NNA (male) remarried and has another child how is that child affected or will it be? Is this just a one time occurrence with this attack or will they do it again ONLY if new wife(mother) happens to want out of the marriage? First marriage over, he has child, Nobody allowed to see, hear or talk to him/her from mother’s side. As always, so spot on which is why I would imagine a LOT of (now) adult parents can identify with your words and behaviours of previous generations. It’s exactly the same process of illumination I went through when reading Amy’s book and other articles about alienation. The words that are pertinent to me are exactly the NAA superficially presenting as if she’s lovely about the other parent and encourages contact – then in “private” family court goes for no contact and protects this vehemently which mirrors their controlling and coercive behaviour – to keep control of the information that they have a mental health issue or some dark secret or are literally completely bereft of any self-awareness of themselves so cannot self reflect and are projecting onto the other parent. I’d imagine this is also the foundation of any false allegations, and delusions of persecution. Thank you, Karen. Keep up the fantastic work. This sort of parenting behaviour also happens when the family still lives together, and a parent takes coercive control over the children. It is more typical than might be imagined. Particularly vulnerable children are not given the chance to grow into adulthood and remain in a co-dependent relationship with their parent. In the worst-case scenarios, the child will be less resilient to trauma and be susceptible to what we describe as schizophrenia. Karen, you seem to hit the nail on the head, more and more, as I read. This example typifies what has happened to my children. All 4 of my daughters are 100% alienated. I have had zero contact(save for some incredible abuse), despite providing continued child support, cards, notes, texts and birthday gifts. The last episode of abuse through text message was so evil and twisted that I realized there there is absolutely nothing I can do to affect change. It will have to be divine intervention. 3 of the 4 are and out of the house, but the slow erosion of affection that has exploded into full blown hatred over the course of 4 years has been explained by discovery of this concept of PA. I thank you for your work. I have decided to close the door behind me and move forward. If it is knocked on or opened, I will answer, because I love my children and miss them terribly. But the children I helped to raise and no longer there. They are completely lost and only a miracle will help them. I will not suffer from their abuse any longer. I have been so encouraged and validated as an alienated parent through your work. I am able to cope and move on, thanks to you, your blog site and your book. To anyone who thinks their children may be exhibiting any of the symptoms, aggressively seek help immediately. My children went from loving, affectionate kind humans to something dreadful in just 3 years time. I was present in their lives and worked hard…but I was fighting a losing battle. Karen, thank you again. Please keep this important work going! Keep fighting… keep the door open . We are all with you . There is support and solace in our mutual grief . When will our nation, our elected officials, and our public stand for justice for American families. Every second of a minute: many children are separated from there parents instantly and permanently with or without court orders in all parts of our country. All 50 states profit Billions for never addressing equal parental rights or the best interest of the child. Our nation financial strength is stripped and destroyed. Its amazing how family values or moral values are ignored when it comes to our current times of enlightenment or mondern views. Yet, our nation has a healthy profitable child support agency, increases in welfare “mothers” every year seeking only government aid and grants, alarming domestic violence and civil unrest reports, and a entire generation of mentally disturbed young adults; just to reveal the surface of issues. The financial scheme of Family Courts and politics is at the hub of our nation’s epidemic; and its a scheme the brings the promise of billions for continuing the biased agenda. The real beneficiaries hide their profits from public information and just ask for votes. But so much outrage for the “babies ripped from their mothers” at the border. A trope used for blatantly political purposes, feigning extreme outrage, all while thousands of citizens permanently relieved (sic) of their children and allowed to pay for the privilege. This post is truly useful. I am going through a situation where my pre-teen child was recently placed in my custody after the recognition by a court appointed psychiatrist that the NAA uses indirect alienation techniques and that the child-NAA relationship is pathological to the point that they live together as “one body, one soul”. Although the mild alienation signs towards myself have been showing for a little while, ever since the custody decision, my child shows about a half an hour to an hour each day of rejection. Luckily, these are decreasing and we spend most of the day happily together as a family. It is often quite difficult for me as a parent to know whether I am doing the right thing. I am not a professional and don’t want to throw around terms like alienation too freely. Where I find this post useful is that it does raise the issue of where alienation is not outright but using more subtle forms of influence. For those of you out there, have faith because things are changing. In my neck of the woods, for a father to receive custody is practically unheard of. Courts and practitioners alike are gaining more insights into these phenomena and they are being recognized for the harm they cause. And I fully agree that a rejected parent has a great responsibility to show continued support and love, but perhaps above all that there does exist an environment where freedom of thought, development and critical thinking is a virtue.